When will be Slayers next episode air date? Is Slayers renewed or cancelled? Where to countdown Slayers air dates? 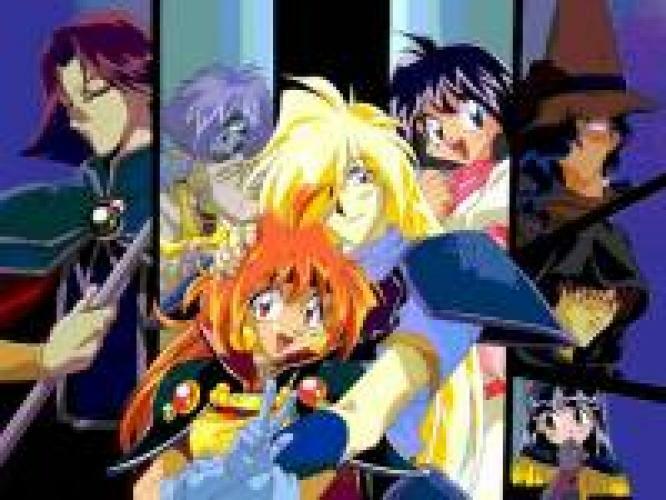 Is Slayers worth watching? Slayers follows the exploits of the young sorceress Lina Inverse, whose life revolves around food, treasure, and fighting. After stealing treasure from a group of bandits, Lina is accosted by stragglers during her journey to the next town. She's not in any real danger, but a dim-witted but good-natured swordsman named Gourry Gabriev springs to her rescue anyways. The two team up, and head to Atlas City, fighting foes they encounter on the way. Slayers next episode air date provides TVMaze for you. EpisoDate.com is your TV show guide to Countdown Slayers Episode Air Dates and to stay in touch with Slayers next episode Air Date and your others favorite TV Shows. Add the shows you like to a "Watchlist" and let the site take it from there.